Growing up and sitting up. As soon as your baby can confidently and safely sit up unaided - well, that's a big moment in his or her life! The world takes on a new look to them and it's the perfect time to get a portrait of them sitting all proudly. 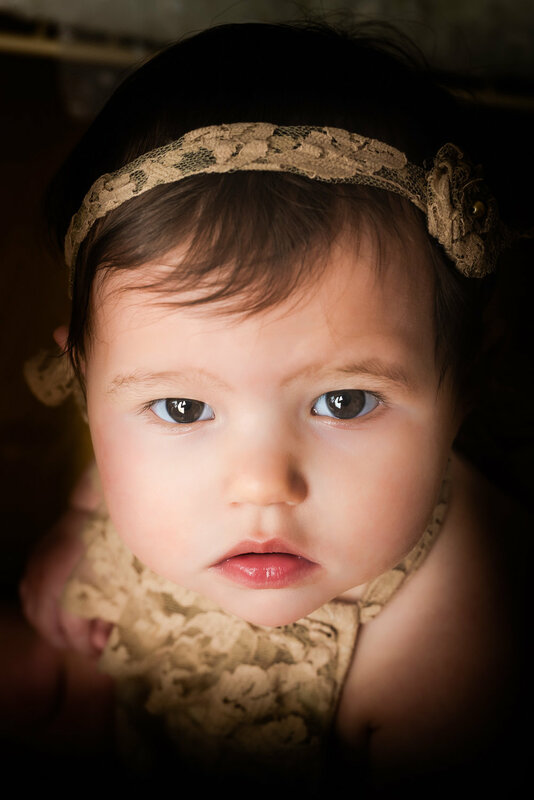 These make excellent presents for grandparents and of just some fabulous portraits to hang on your wall, so whether you want to update their newborn photos, or get their first real photoshoot, booking a session like this is a must to be able to capture them before they are able to move off and explore the world! We are happy to provide outfits but you are welcome to bring along something special for them to wear. Once again we have mats. rugs, blankets and a few props like chairs or a little bed for them to sit on. 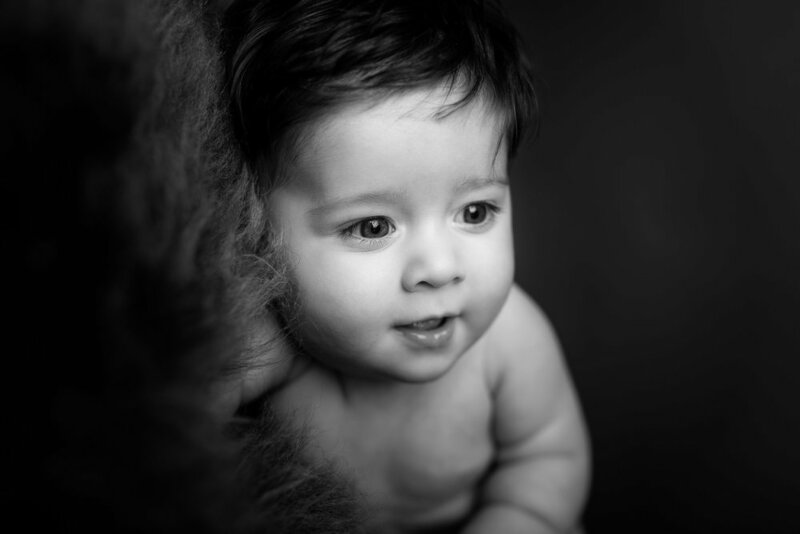 So now your baby is growing - and growing fast - book one of these sessions so you can catch the smiles before they are moving to fast to see them!